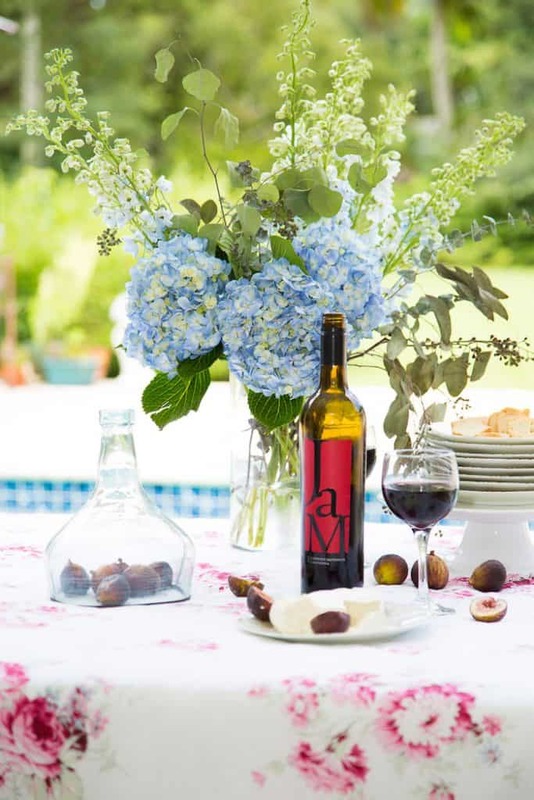 Hosting an effortless late summer party! We truly keep it simple here and when it’s around the pool the vibe is always fun! In late summer the eating is easy because it’s hot as blazes in Miami and the last thing that I feel like doing is cooking and heating up the house. So we take it outside and that generally involves a feast based around cheese, fruit and some tasty wines to go with. 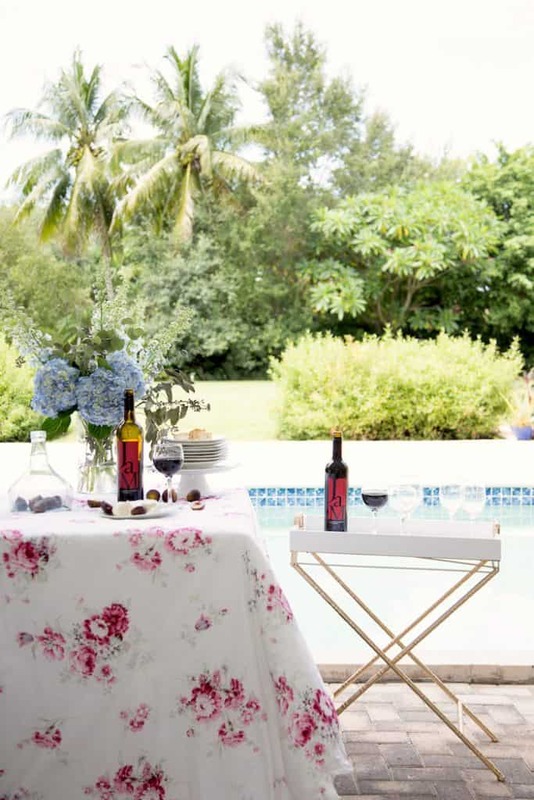 Before our friends came over this weekend I set up a table under cover poolside and draped it with a bedspread for a pop of color and to soften up the look. You know…I’m a fan of using bedding as a tablecloth and this one was easy to toss into the laundry after our guests left. Touches like that make a world of difference in entertaining, and since I came home from the florist with blue delphinium and hydrangeas on Friday I scoured my linen closet for something to cover the table with that had the blues in a soft touch. TIP: Think outside the box and use bedspreads, duvets, sheets and even shower curtains to cover a table. You don’t even need a table and can use an old door propped up on a pair of sawhorses and just cover it pretty! 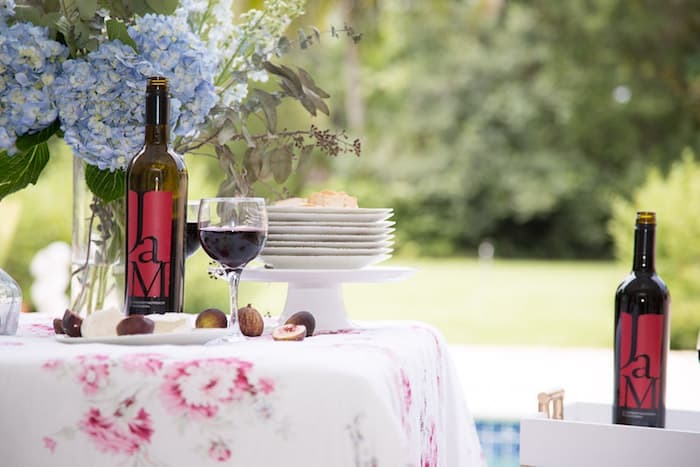 Summer is definitely not done and we set up some music and just enjoyed the food, the company and of course the wine! We served California figs and a couple of varieties of soft goat cheese along with some small French toasts. 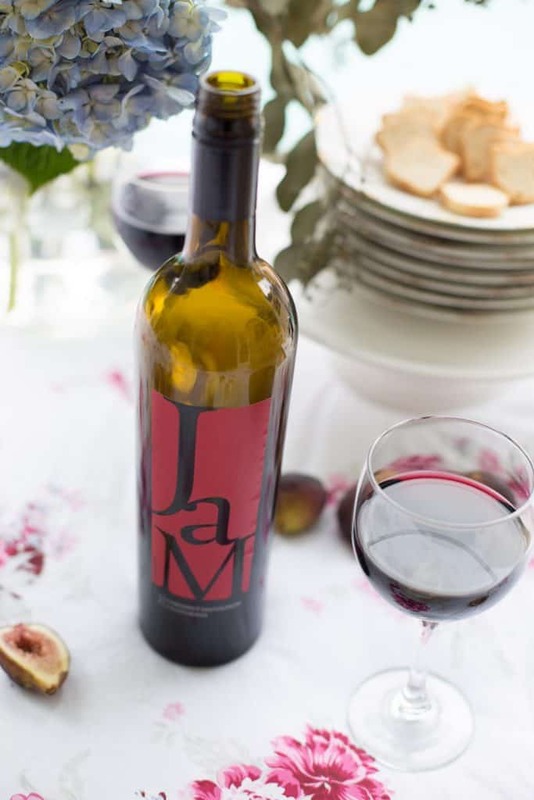 The berry flavor of the wine was a great match and nice and light for outdoor summer fun. TIP: Use a tray to carry everything outside. It just makes it a whole lot easier and I find that it helps to prevent breakage! In this case my side table has a removable tray and it took just a couple of trips outside to bring all of this out. I don’t worry about using glass and china for outdoor entertaining. If something breaks it’s generally easy to clean up and things can be replaced. 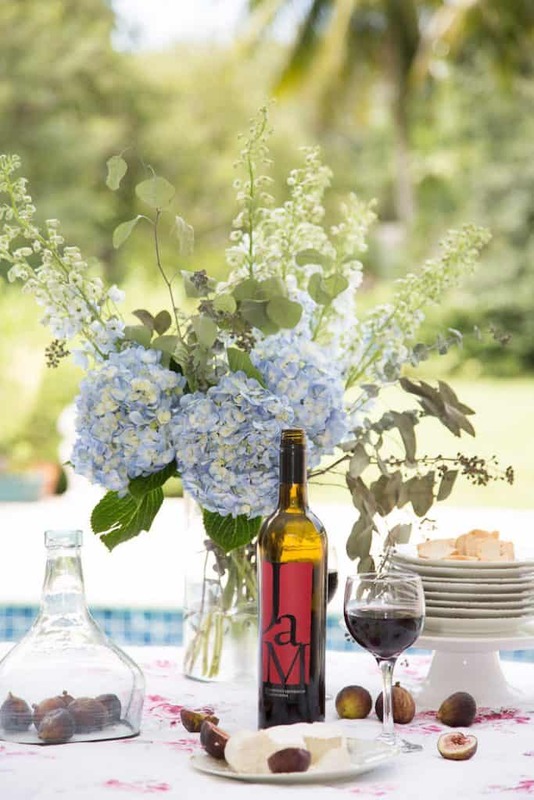 I’m a wine fan and happy to share ideas with you for entertaining outdoors.